Early Music America is excited to announce Ross Duffin and Beverly Simmons as the recipients of the 2018 Howard Mayer Brown Award for lifetime achievement in the field of early music. This award is named in memory of the renowned and beloved musicologist from the University of Chicago, Howard Mayer Brown. As a recipient of EMA’s Thomas Binkley Award in 2005, I thought I had already achieved the pinnacle of recognition in the field, so this new award is astonishing. Howard Mayer Brown was an early hero of mine, beginning with his article on the performance of fifteenth-century chansons in the very first issue of Early Music Magazine in 1973 when I was just starting graduate school. 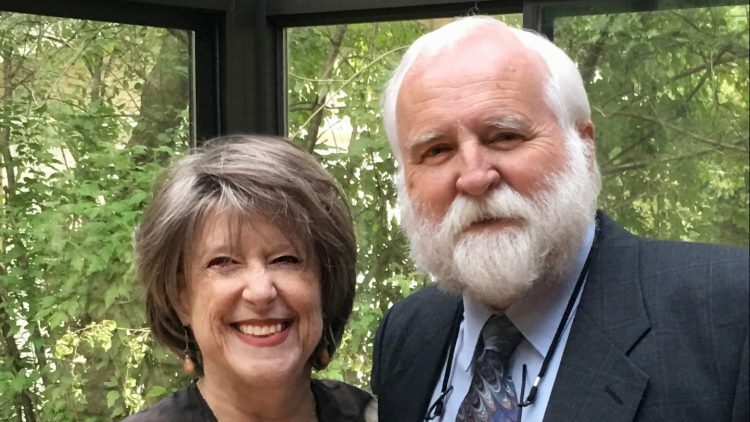 It is an enormous honor to be recognized for lifetime achievement in early music with an award that bears his name, and to share that award with Beverly Simmons, my wife and professional collaborator of more than forty years, is a great joy. EMA’s Annual Awards ceremony will be held during our Annual Meeting, Wednesday, May 23, 2018, at Indiana University’s Jacobs School of Music, Bloomington, Indiana. Ross W. Duffin is Fynette H. Kulas Professor of Music at Case Western Reserve University in Cleveland, where he has directed the Historical Performance Practice program since 1978. He was named Distinguished University Professor there in 2017. Born in London, Ontario, Ross received the BMus in Music History from London’s University of Western Ontario (now Western University) in 1973. His senior year featured visiting professor Timothy Aarset, who had just come from Stanford University, so that became the destination for graduate school (MA 1974, DMA 1977). Stanford, at that time, was the leading place in North America for the study of early music, and faculty like William Mahrt, George Houle, and Herbert Myers helped him find his own path. Student colleagues including Rebecca Harris-Warrick, Stewart Carter, Jack Ashworth, Jason Paras, and of course, Beverly Simmons(! ), made the program a rich experience. A frequent faculty member at early music workshops in the 1980s and ’90s, Ross was a founding member of EMA’s Higher Education Committee, and he edited EMA’s Performers’ Guide to Medieval Music (Indiana, 2000). His original-notation edition of 45 chansons by Guillaume Du Fay (Ogni Sorte, 1983) won the Noah Greenberg Award from the American Musicological Society. Also in the early 80s, his radio program Micrologus: Exploring the World of Early Music was syndicated on 140 NPR stations. His Shakespeare’s Songbook (W. W. Norton, 2004) was granted the inaugural Claude V. Palisca Prize from the AMS, and a sequel, Some Other Note: the Lost Songs of English Renaissance Comedy has just appeared (Oxford, 2018). Besides notation and theatrical songs, he has written books and articles on musical iconography, historical theory, improvisation, and pronunciation, and is also a leading expert on historical tuning systems: his How Equal Temperament Ruined Harmony (and why you should care) (Norton, 2007) has reached a worldwide audience in multiple languages. In the Collegium Musicum at CWRU and its Joint Music Program with the Cleveland Institute of Music, Ross has helped to train countless early musicians, including nationally renowned leaders like Adam and Rotem Gilbert, Julie Andrijeski, Debra Nagy, David Dolata, Joanna Blendulf, Christine Brandes, and many, many others. Still an active tenor, he was a founding chorus member of Apollo’s Fire: the Cleveland Baroque Orchestra, and has been Artistic Director of the professional early music chamber choir, Quire Cleveland, since its founding in 2008. Quire has carried the North American early music banner worldwide, with over 250 YouTube videos and more than 825,000 views from 217 countries. Beverly Simmons grew up in Denver and attended Stanford University. During a year abroad in Vienna, she took classes in early music from Professor George Houle. When museum staff unlocked instrument cases and let him take out historical instruments to show the students, she realized that she had to make early music her life! After earning her BA, she stayed at Stanford to pursue MA and DMA degrees in Early Music Performance Practices. She met her husband, Ross W. Duffin, in graduate school, and married him in the garden behind the Music Department, with a shawm band playing the processional. Bev has enjoyed a checkered career as a performer, university professor, radio broadcaster, arts administrator, concert presenter, workshop director, and graphic designer. She taught at St. Lawrence, McMaster, and Case Western Reserve universities, sharing a position with Ross at the latter two. After leaving academia and serving a stint as a staff announcer at Cleveland’s classical radio station, she built a management company to represent early musicians on North American tours, including the Hilliard Ensemble, Baltimore Consort, Oberlin Baroque Ensemble, Kuijken Quartet, Andrea von Ramm, and London Baroque, among others. 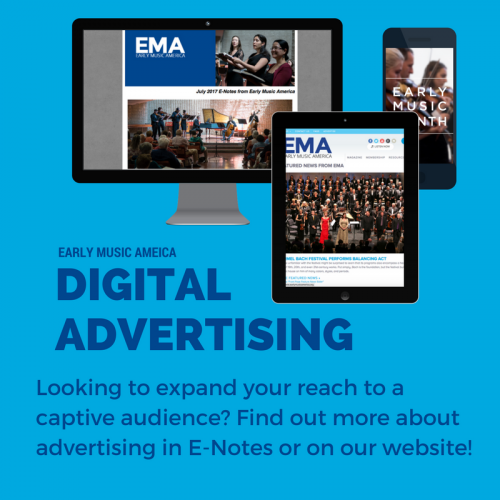 For Early Music America, Beverly Simmons was a founding board member and EMA’s second executive director. She established competitions, scholarships, and awards for performers, students, and leaders in the field, and launched Early Music America magazine, for which she was founding publisher and, later, graphic designer. She has sung with the Newberry Consort and Apollo’s Fire, and for two decades directed the CWRU Early Music Singers. She managed Chapel, Court & Countryside: Early Music at Harkness, which presented 25 seasons of concerts by international touring artists. For five summers, she administered the Baroque Performance Institute at Oberlin College. As half of the cabaret duo, Rent-a-Yenta, she discovered a way to express her love of singing show tunes and making people laugh. As Fortissimo Design Studio, Bev makes programs and marketing materials for early music ensembles like Exsultemus and the Newberry Consort. Over the past decade, she has devoted much creative energy to the professional chamber chorus, Quire Cleveland, which provides both administrative (as Executive Director) and performance (as a choral singer) challenges and rewards, and makes life more harmonious. Beverly Simmons and Ross Duffin’s son and daughter grew up singing Renaissance Tenorlieder, as well as jazz and the American Songbook, and playing the baroque violin and viola da gamba, respectively. Now their young children play percussion and harmonica and are eyeing those plastic recorders.